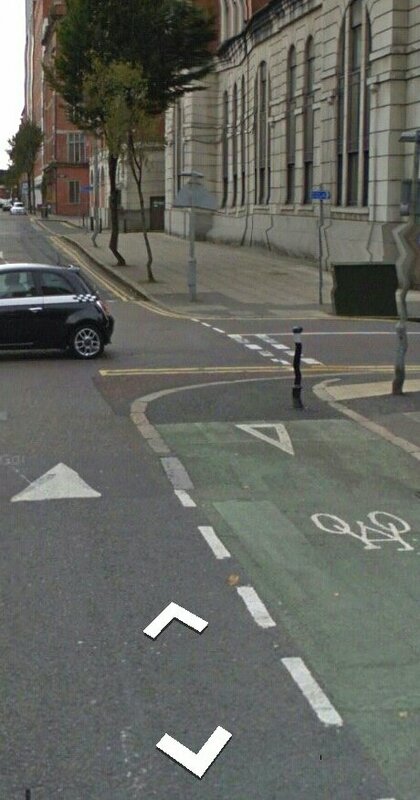 Note how cyclists must give way to a post. 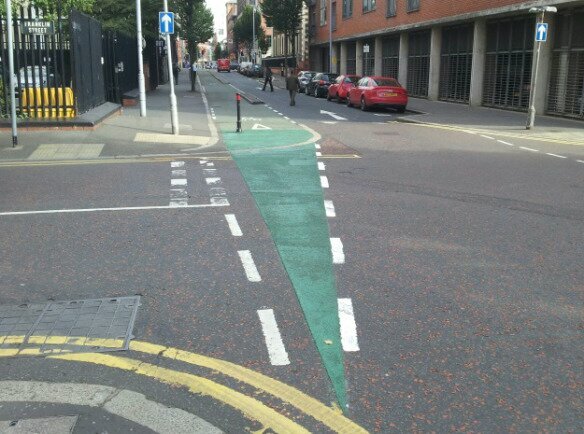 Soon Northern Ireland’s Roads Service realised that giving way to an immovable object wasn’t going to work. He was obviously inspired by this creature from just after creation the late Jurassic. The cyclesaurus was born. An unnamed source tells me that the Caleban was not amused at having dinosaurs roaming the streets of Belfast once more. Pictures of dinosaurs might lead people to question the veracity of the account in the bible. And doubt the existence of Dr Ian Paisley himself. And so, on Monday, 13 January 2014 a SWAT team descended on the defenceless dinosaur and killed it. Here it is. 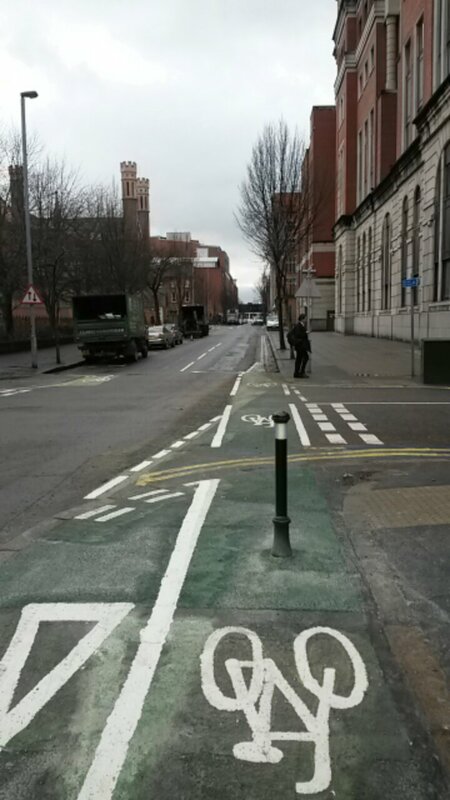 Bow at its feet, motorists, pedestrians and cyclists! For it shall defeat everyone who lays eyes on it and cause many Road Traffic Collisions. but why is the post still there? Surely someone with an angle-grinder couldn’t just put it out of it’s misery? A light bump by a car will do the trick and can always be explained as an accident. An angle grinder might give more satisfaction, but that would be more difficult to defend in a courtroom.